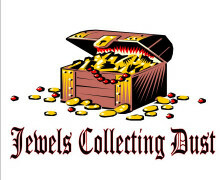 Payment methods are: Paypal, Google Checkout, Cheque, Money Order, Bank Transfer. 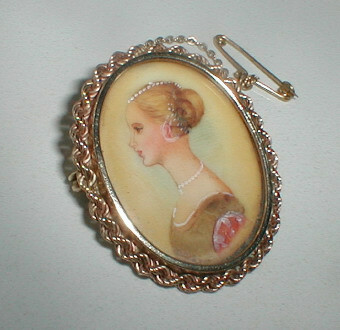 Age: Mid 19th Century - possibly a little later ? 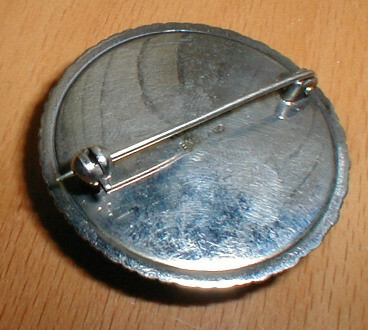 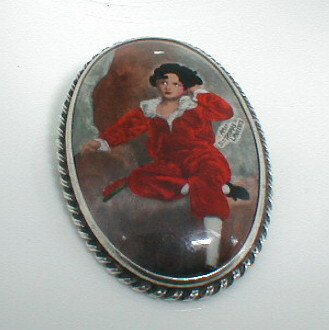 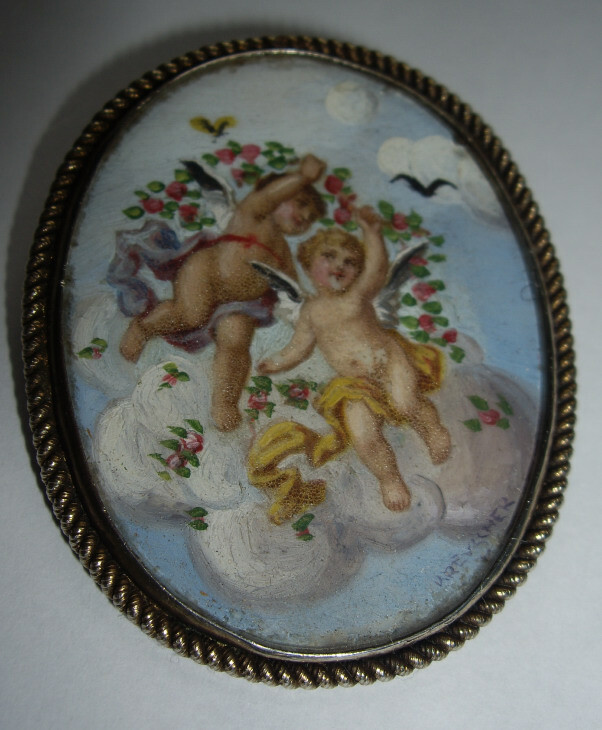 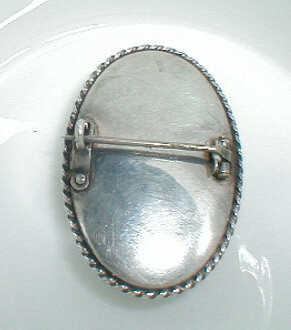 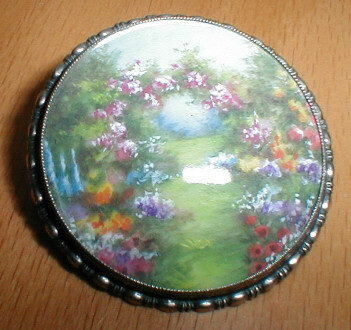 Description: Vintage Sterling Silver Handpainted Brooch - Image is After Sir Thomas Lawrence Famous Painting The Red Boy. 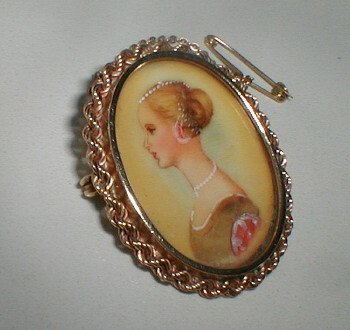 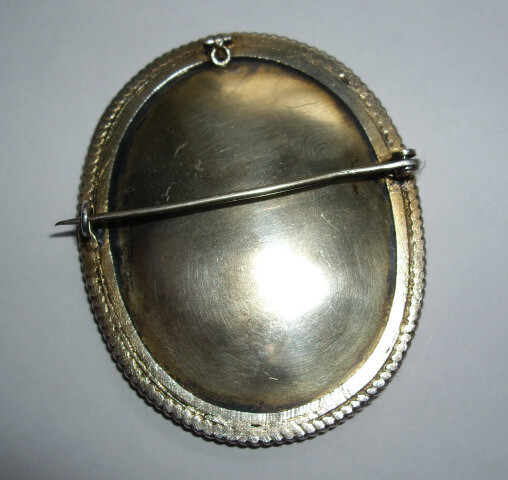 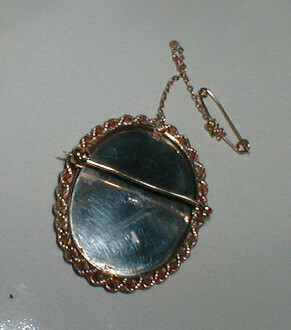 Description: Vintage Unusual Brooch With Foil Picture.